The UM Libraries offer consultations and instructional support for data analysis in a variety of research contexts, including GIS, statistics, qualitative methods, and the digital humanities. The UM Libraries provide research support for finding and analyzing digital humanities data, including instructional assistance with learning the tools for research in the digital humanities and digital scholarship, situating your research in your discipline, and best practices in project management. We provide workshops and one-on-one consultations. Specific tools that we support include AntConc, ArcGIS Online, ArcGIS StoryMaps, Omeka, Scalar, Tableau, and WordPress. For more information on digital humanities data, go to https://library.miami.edu/digital-scholarship/. The UM Libraries provide assistance with finding and analyzing geospatial data, primarily through instructional support for the ESRI suite of geospatial software, including ArcGIS and ArcGIS Pro. Using geospatial software, we assist patrons with compiling geographic data, analyzing mapped information, sharing and discovering geographic information, using maps and geographic information in a range of applications, and managing geographic information in a database. We also provide affiliated patrons with a site license for ArcGIS on request. For more information on GIS support, go to https://sp.library.miami.edu/subjects/gis. 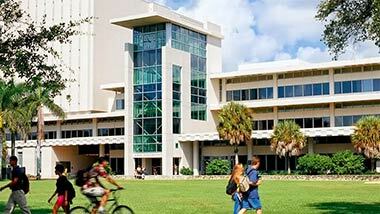 The UM Libraries provide research support for statistical analysis and quantitative reasoning. We regularly provide free workshops on the software programs R, SPSS, and SAS, and support additional statistical software programs such as Stata and Tableau. To learn the software programs for statistical analysis, or to develop expertise in specific statistical methods, whether they are descriptive statistics or complex models for statistical inference, or preparing data for analysis through data cleaning. We also provide free one-on-one consultations on analysis and learning statistics software. For more information on our support for statistics, go to https://sp.library.miami.edu/subjects/data-services. The UM Libraries provide assistance with finding, accessing, and interpreting survey and census data. To find survey and census data, the Data Services Librarian can help you navigate popular data repositories such as ICPSR and Open Science Framework, as well as learn how to access data from places like the American Community Survey, the General Social Survey, and the United States Census. We provide detailed consultations and workshops on the analysis of survey data using statistical software such as SPSS, R, and SAS. For more information on survey and census data, go to https://sp.library.miami.edu/subjects/data-services. The UM Libraries provide support for the analysis of textual data through a variety of tools and software programs, including NVivo, Atlas.ti, and AntConc. For more information our support for learning textual data analysis, go to https://sp.library.miami.edu/subjects/data-services or https://library.miami.edu/digital-scholarship/. The UM Libraries assists patrons interested in developing their skills in data analysis, whether in R, Tableau, ArcGIS, or additional software programs. Contact Data Services for assistance with R, Data Services or Digital Scholarship for assistance with Tableau, or GIS Services for assistance with the ESRI line of products, such as ArcGIS and ArcGIS Pro. For more information, go to https://library.miami.edu/digital-scholarship/.